Read what Kristen's clients have to say about their own personal fitness journeys with Vermont Custom Fitness. "​Kristen is a wonderful trainer and a pleasure to be with! 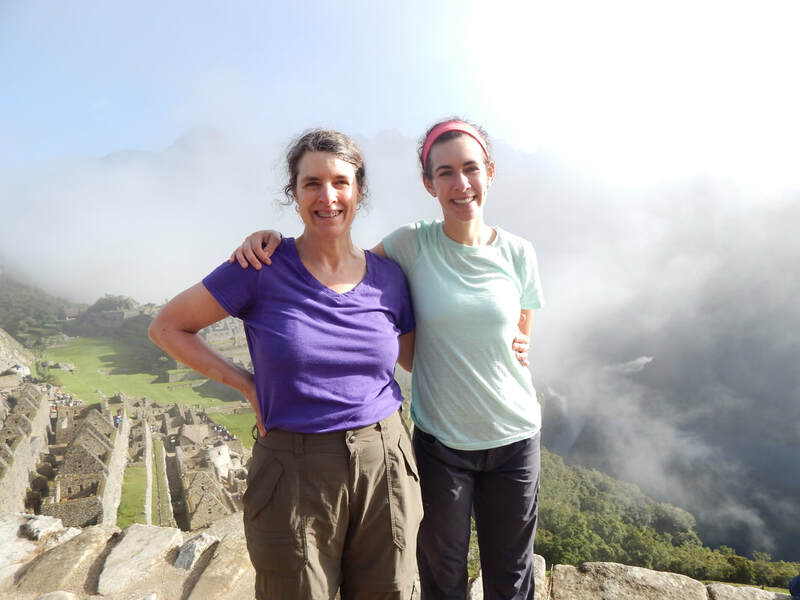 I had an ambitious goal in mind to do the classic 4 day trek on the Inca Trail to Machu Picchu this past March with my 25-year old daughter. As a 61 year old woman who has always been active, but who had been way laid due to a back injury, Kristen gave me the support and specialized exercise and diet regiment that helped prepare me for my adventure. After a careful initial evaluation, Kristen planned cardiovascular, interval and strength training schedules for the three months prior to the trip. I kept a daily log of my weight, food and workouts and Kristen checked the log every week or two at our training sessions. By taking Kristen’s advice on healthier eating choices and habits I ended up losing about 2 pounds a month and getting into the shape I needed for such an ambitious hike. Day 2 on the Inca Trail, the toughest of the 4, we gained 4000 feet of elevation to reach Dead Woman’s Pass at 13,829 feet and then hiked down 3000 stone steps to our campsite. The day was a physical and emotional test of my endurance, however Kristen and I had talked about how I would cope with the challenge, and I made it – with the additional help of my daughters and fellow travelers. With Kristen’s guidance I hiked the Inca Trail to Machu Picchu and thus accomplished something that would have otherwise been totally unimaginable. Now with Kirsten’s help I’m preparing to hike the Tour de Mont Blanc later this summer. The sky’s the limit!" "​​My husband urged me for years to seek help from a personal trainer, because he’d heard me saying how much I wished I knew what I was doing with my body to feel stronger and stay flexible. I kept making excuses, thinking it was probably too expensive, or just not a fit for me. I finally called Kristen, shortly after turning 40, and I’m so glad I did! It’s so convenient because she comes to my home and goes through a routine with me, and then I’m set for 2-3 weeks to follow through with my exercises along with a custom checklist she’s made for me. At our next visit, she reviews my progress and tweaks my routine (adding and dropping exercises as needed, or increasing weight or reps) and I’m good to go until the next session. A little over a year into working with her, I feel stronger and more in touch with my health than I ever have before. Because my protocol involves regular stretching, I’ve managed to avoid injury or strain, and haven’t needed to see my chiropractor in a surprisingly long time. Kristen is encouraging but easygoing, and has a great way of keeping me motivated without making me feel pressured. With only a few pieces of inexpensive equipment, I’m able to get a full body workout in the comfort of my home and I have no need for a pricey gym membership. Considering what you get for your money, I think working with Kristen is a great (reasonable) investment in yourself. I only wish I’d listened to my husband sooner!"